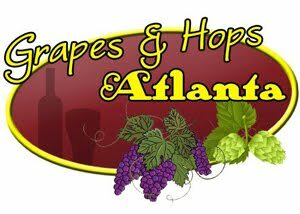 Grapes and Hops ATL: For Sale: Wine in a Glass? For Sale: Wine in a Glass? Tastingroom.com has just announced: Wine By The Glass. Amazing! This one-of-a-kind product allows you to enjoy a single 100ml glass of luxury wine – much as you would in a high-end restaurant – all in the comfort of your home and without having to purchase an entire bottle. Wines are available as a single glass or in 4-Packs delivered in an elegant box. 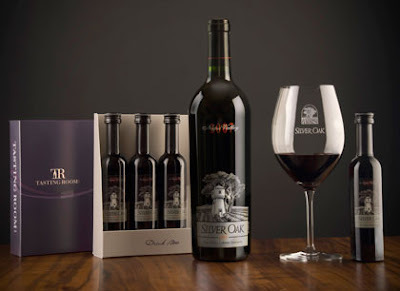 The 2007 Cabernet Sauvignon will be available for $19.00 per glass or $70.00 for a set of four. The 2007 Silver Oak Napa Valley Cabernet has hints of Sandalwood, Cedar, Blackberry, Dark Chocolate and Roasted Coffee. 90% Cabernet Sauvignon, 6% Merlot, 3% Petit Verdot, 1% Cabernet Franc. Has an alcohol content of 13.9% and the best food pairings: Grilled NY steak, veal, buffalo, lamb and mushroom.